Rajkumar Rao's next film is called 'Shaadi Mein Zaroor Aana'. Its release date has also been announced. 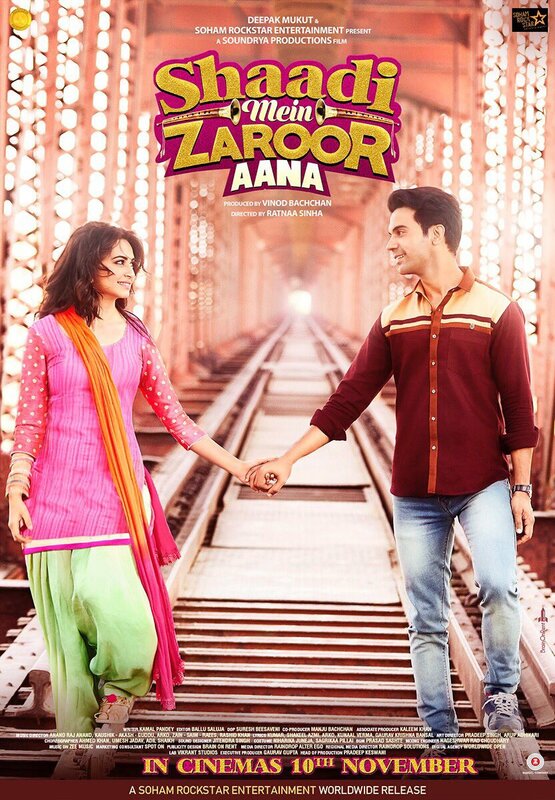 'Shaadi Mein Zaroor Aana' is going to Release on November 10. The poster of the movie has also been revealed. There will also be Krrti Kharbanda in this film. Like other films, Rao's film is also on the background of Uttar Pradesh. The film has been shot in Allahabad and Mumbai. It is produced by Vinod Bachchan. Rajkumar Rao's latest film Newton, who has worked in City Lights and Love S*x and Dhokha, has been nominated for the Oscars from India. Rajkumar has received a lot of praise for his work in Newton.